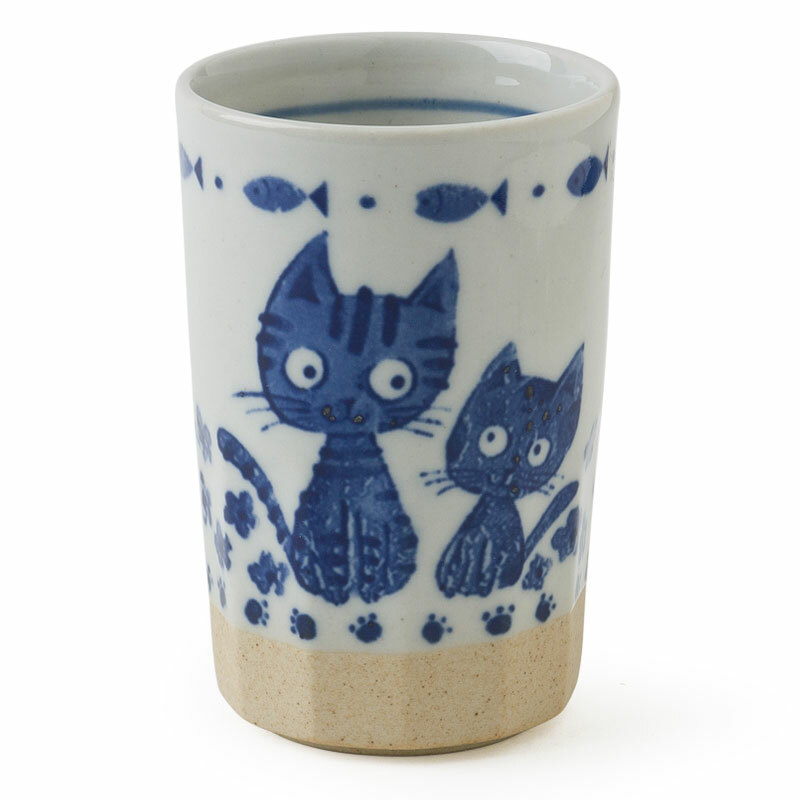 Miya Company - Blue Cats Cup 9 Oz. Blue Cats Cup 9 Oz. Cute cat cup alert! The sweetness of these little striped blue cats is just compounded with fish across the top and paw prints along the bottom. It is just so happy and smile inducing. Great start to the morning or any time of day. 3" diameter x 4.5"h; 9 oz. capacity.